Apple is undoubtedly the go-to company for gadgets like multi-functional mobile phones, MP3 players and ridiculously expensive ultra-light laptops. 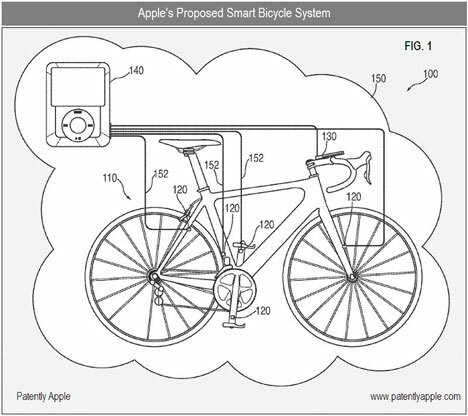 But would you ride an Apple bike? 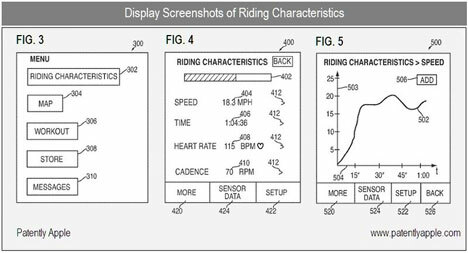 The company recently filed a patent for a smart bike that would integrate your iPhone or iPod into a system detailing your performance and the bike’s status, then communicate the information to other cyclists. The patent isn’t entirely clear on the specifics of the system’s functionality, but it does suggest that it could be used with any type of bike, from street cruiser to mountain bike and everywhere in between. The smart bike gadget would let you keep track of your speed, distance, incline, decline, heart rate, course, time and pace, as well as environmental factors like wind speed, altitude and elevation. Of course, several other companies already sell similar bike gadgets that do all of these things and more. 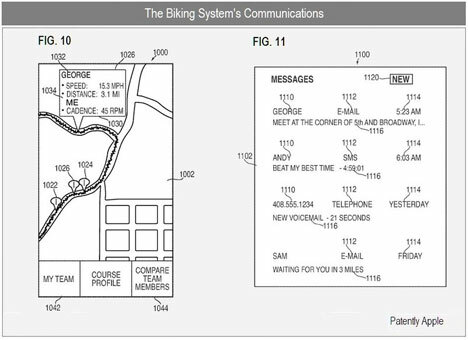 But if this product ever actually makes it to market, it’s possible that the draw will be the convenience of using a gadget you already own (your iPhone or iPod) to track your biking information. The gadget isn’t a totally unprecedented move from Apple; their Nike + iPod system integrates iPods with sensors in sneakers to keep track of runners’ info. The bike version could use voice commands coupled with a handlebar-mounted display to keep cyclists in the know and let them boast about their latest lap times to their network of friends.